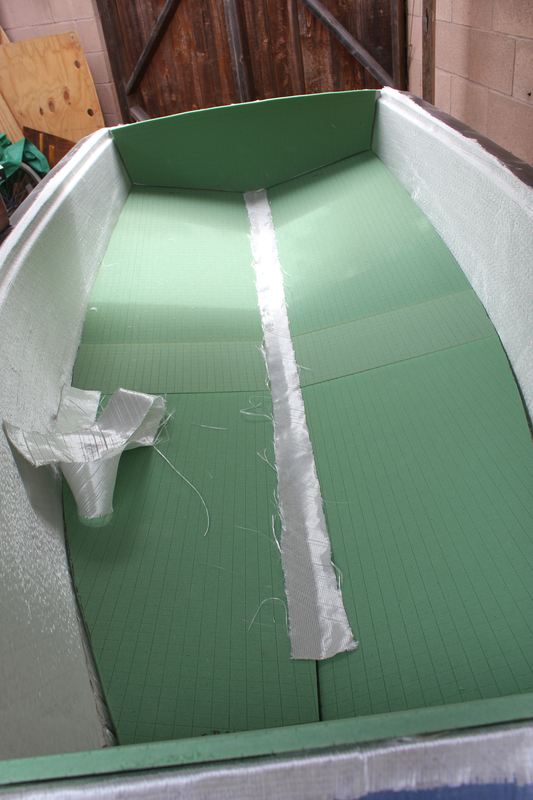 After making the mold modifications needed to vacuum bag and infuse the resin, we’re now cutting out the templates to be used for cutting the foam and the fibreglass. 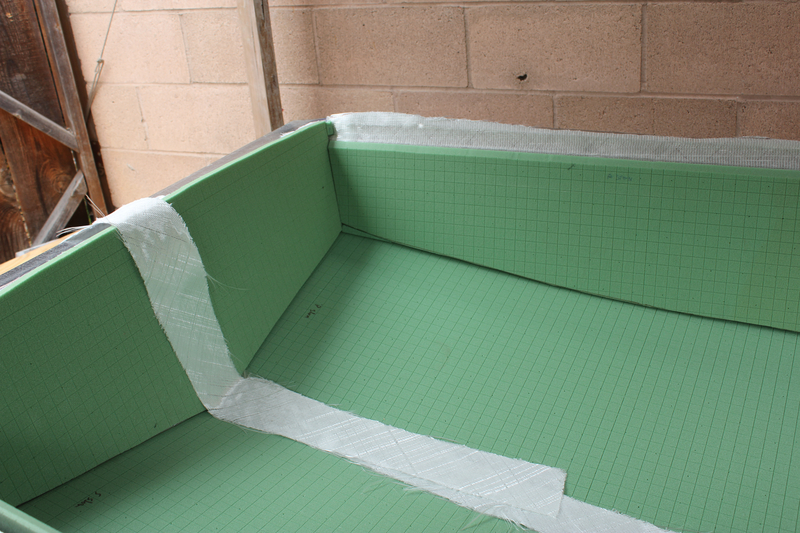 We chose Triax 20 ounce fibreglass and one-half inch Baltek Airex for foam core. 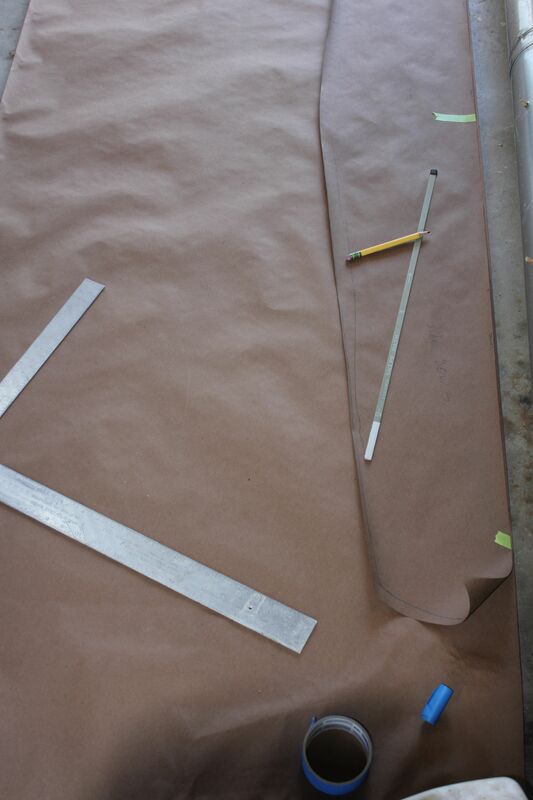 These were chosen to build the stiffest sabot possible that would still weigh-in under 95 pounds. 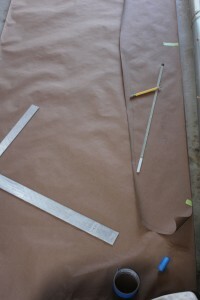 With each template cut, we test-fit to be sure they will work together. 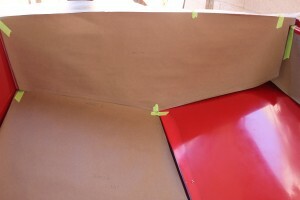 These shown below are for foam core cut-outs. And again, each sheet is test-fit in the mold. 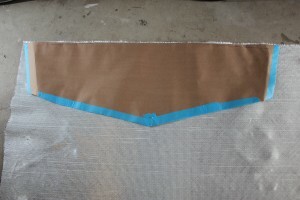 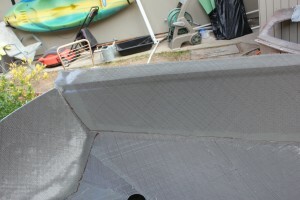 The templates are made to give the fibreglass 2-3 inches of overlap. 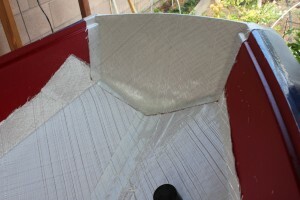 Darts are also cut to be sure if easily fits flat against the mold. 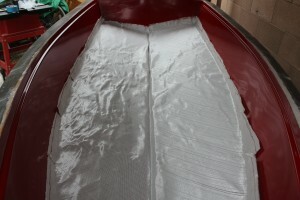 Fitting of the bow ‘glass to the mold. Once all the foam is fit, we can begin to add the top layers of fiberglass. Extra strips added to the center foam joints. Tomorrow we complete the lay-up and begin the bagging process.